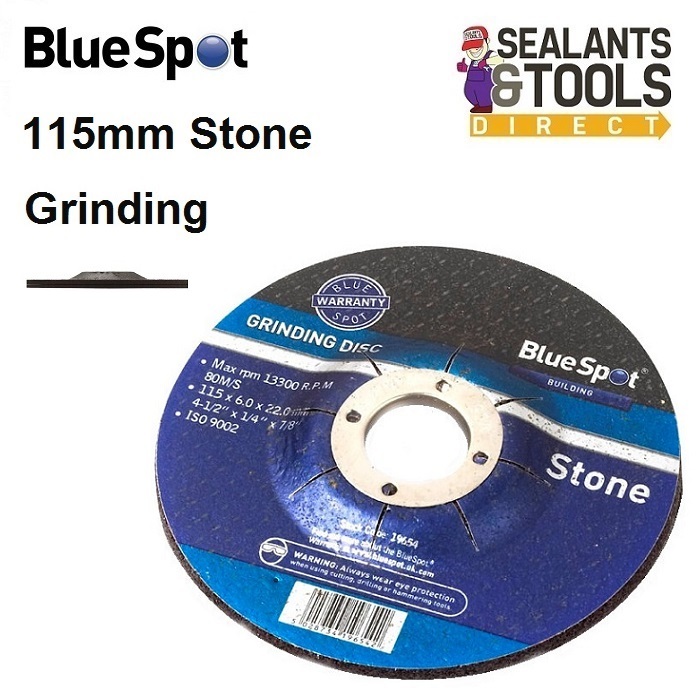 Blue Spot Stone Grinding Disc 115mm 19654 4-1/2"
Blue Spot Stone and masonary Grinding Disc 115mm 4 1/2"
BlueSpot Stone Grinding Discs are designed to provide highly efficient grinding ideal for use with concrete, masonry, stone and asphalt. High resistance to breakage. Suitable for all makes of angle grinders.